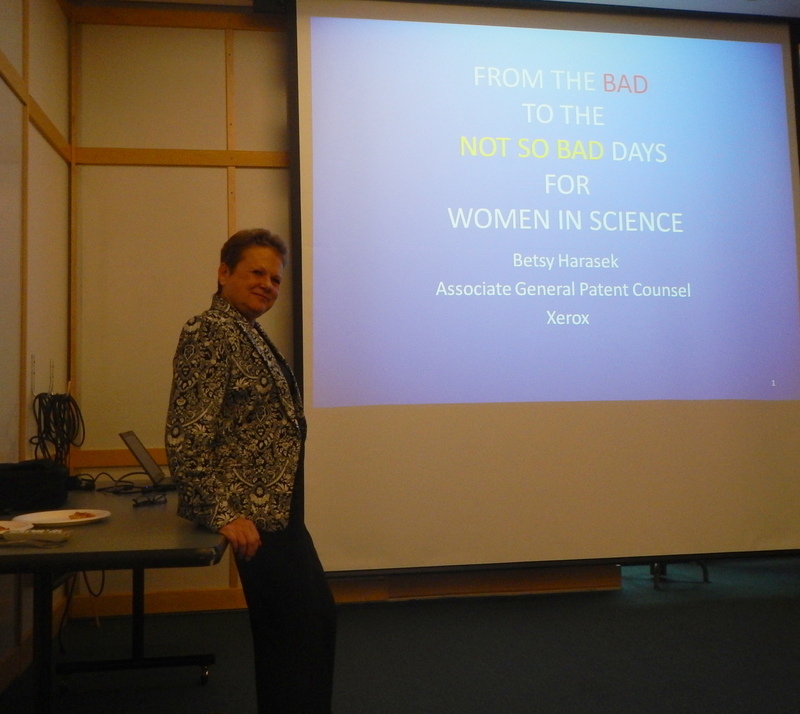 Betsy Harasek gave a presentation today about her experience being a woman in science as a patent lawyer for General Motors, Boeing, and Xerox. 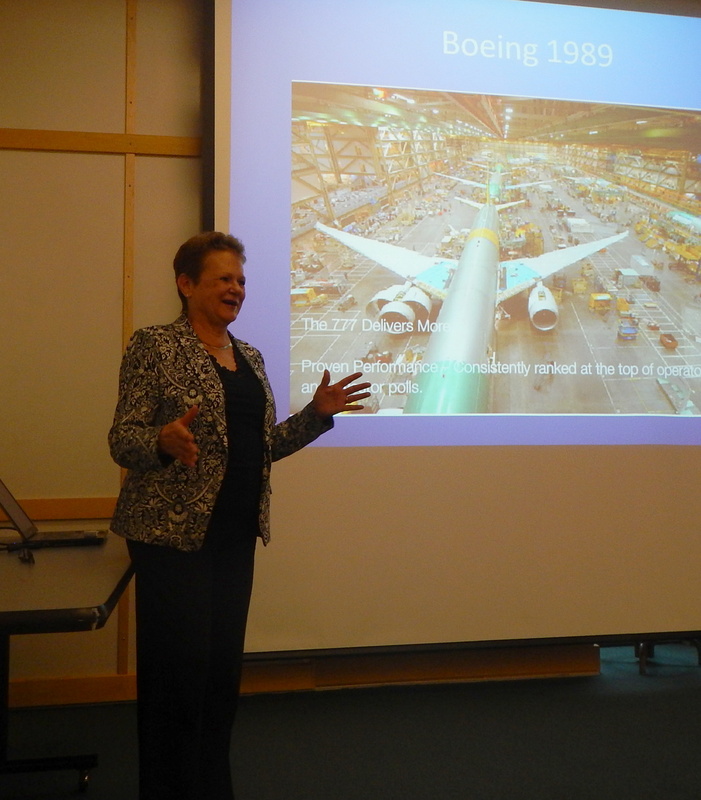 She spoke about her path through college and law school, shared anecdotes about what kept her sane, and gave advice on how to find jobs in today’s markets. She discussed her difficulties being the “token woman” at some companies, and the frustrations of being a working mother who would often travel internationally. She told us about her time learning how airplanes work, and her experiences with different cultures at different companies. Thank you, Betsy, for a riveting talk about non-academic careers in science. Your topics were interesting, your advice was spot-on, and your stories about your friends and family that have helped you through it all were inspiring! Thanks to everyone who attended and made this event a success! This entry was posted in Speakers on October 24, 2013 by Addie.